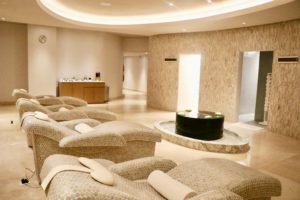 I recently returned from one of the most relaxing and indulgent vacations of my lifetime at the brand-new Le Blanc Spa Resort in Los Cabos, Mexico. The all-inclusive, ultra luxurious and adults-only resort is ideal for couples and groups of friends (or adult families) traveling together. The lavish accommodations include well-appointed designer suites in calming shades of white with plush furnishings. All rooms are equipped with private terraces, oversized bathrooms with bathtubs and rain showerheads, and a nightly aromatherapy menu (my favorite was the lavender and chamomile pillows). 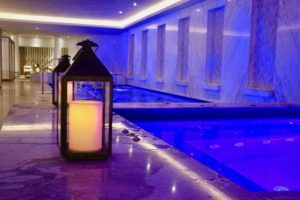 There is a huge focus on aromatherapy, wellness, fitness and relaxation at this property, as the resorts boasts one of the largest and most exclusive spas in the world – a 29,000 square foot spa! 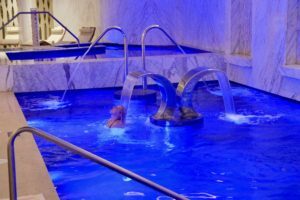 While there are countless stellar aspects of this resort to rave about (such as the pools, service, beach access and food/beverage selections included in your stay), I would first like to highlight the access and service to the award-winning spa as one of the best components of my vacation experience. 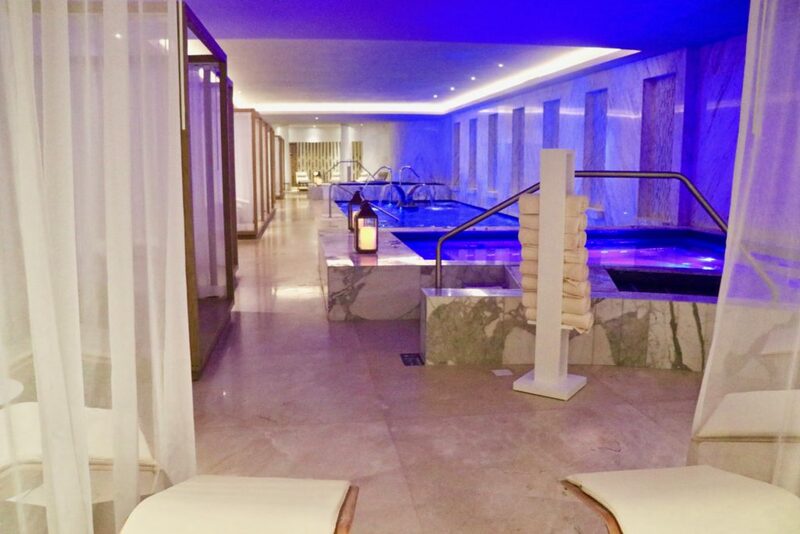 Let me take you through a glimpse of the perfect “Le Blanc experience” through a detailed morning spent at the property’s enormous spa facility – BlancSpa. As always, should you wish to bypass this detailed recap of the BlancSpa experience, scroll on down to the bottom of this article where you can find a handy Ladyhattan Guide with all the details and key facts about this spa! Starting off the morning with a sunrise glass of bubbly to kick-off the vacation experience, I gazed at the gorgeous Le Blanc landscape – gorgeous grounds with four pristine pools and rooftop relaxation areas scattered throughout. Before heading over to the spa, I wanted to get my body stretched out from the prior day of traveling on a plane, so I ventured down to the open rooftop area where a personal trainer facilities an amazing flow yoga class every single morning. 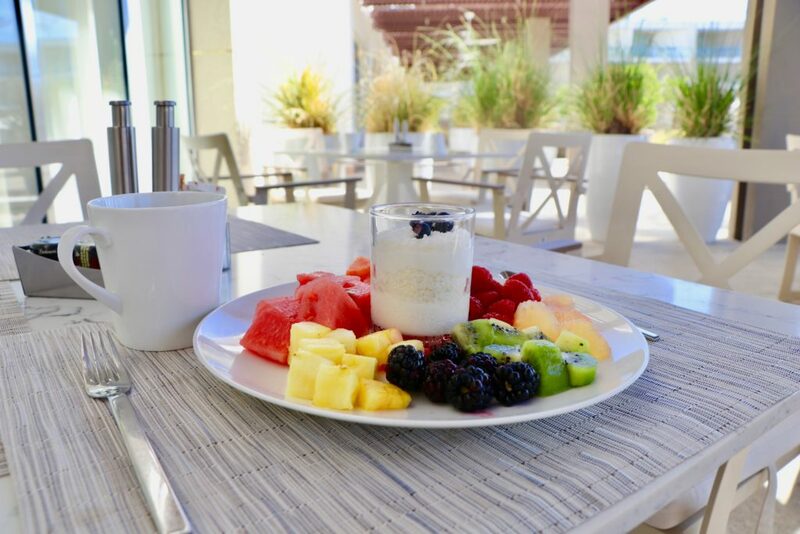 After a nice meditation and stretch, I enjoyed a colorful spread of fruits and coconut yogurts available at the endless breakfast buffet. After yoga and a healthy breakfast, I was ready to see this brand-new, 29,000 square foot award-winning spa for myself. I made my way down to the welcome area where I was immediately greeted with a warm neck towel and introduced to my very own personal “spa attendant” who would take care of me for the morning. 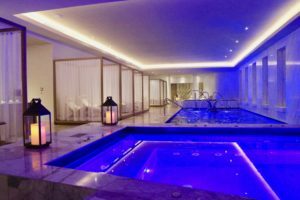 Access to the spa facility, the treatment centers and the hydrotherapy service are all complimentary with your all-inclusive rate which is absolutely amazing. 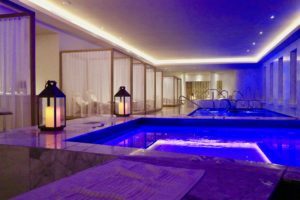 Many luxury resorts require that you purchase a formal “spa service” to utilize the facility, but Le Blanc provides this as an inclusive experience for its lucky guests. However, reading about the spa treatments and reviews of the quality of massages, scrubs and facials, I went ahead and booked a serenity massage which was the best decision of my trip. 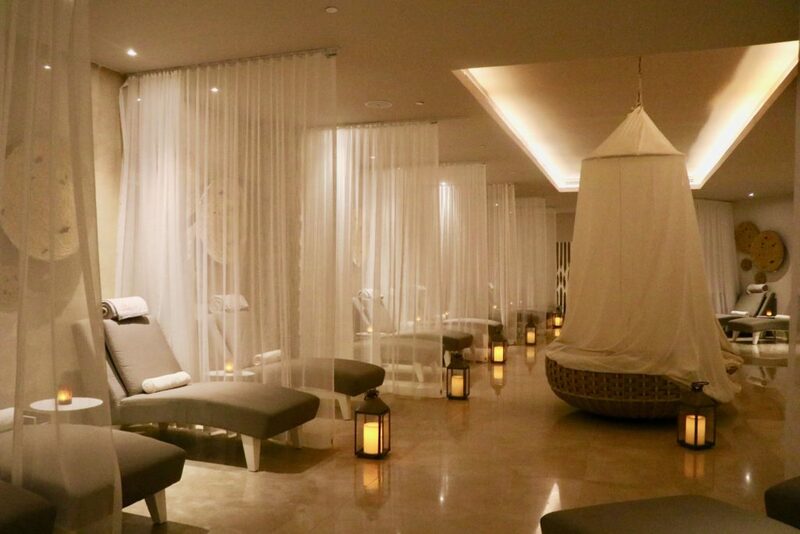 Highly recommend booking at least one treatment during your stay at Le Blanc for the full “ultimate relaxation” experience! 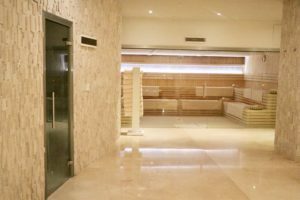 As I entered the women’s area of the spa with my assigned Spa Attendant, Veronica, I was given the standard welcome with the private locker, slippers and warm robe. From there, Veronica took me through each stage of the complimentary treatment facilities in the best order for relaxing my body to the fullest. 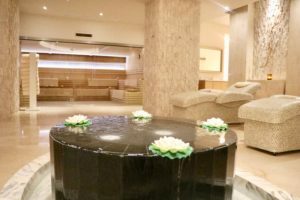 To get my mind calm, which is always a bit challenging, we started by relaxing on the “hot stone tile beds” which are nice and warm, allowing your body to melt into the curvature of the lounger. Veronica provided me with a complimentary hair treatment mask (a deep conditioner/protein formula), along with the application of a lavender facial mask to moisturize and calm my skin while I relaxed on the lounger. 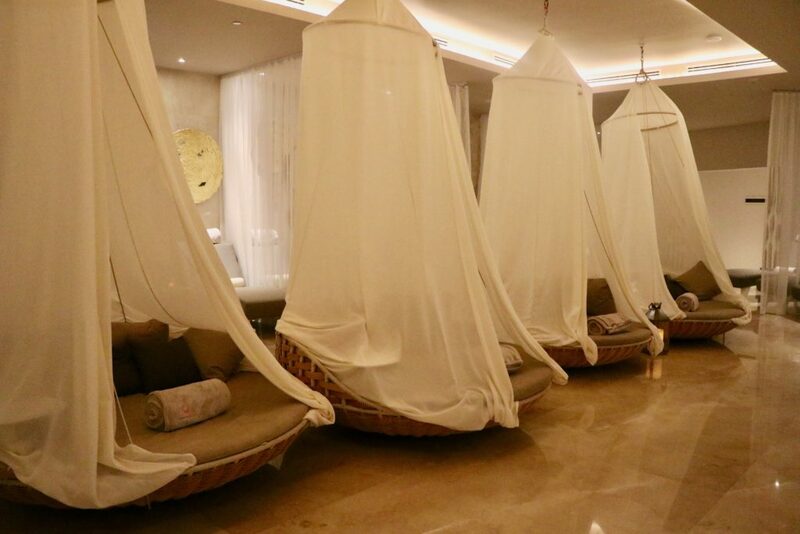 In another area of the 29,000 square foot facility, you will find large swing beds with cozy pre-heated blankets. Your spa attendant will encourage you to get comfortable, place a warm blanket over your body and feet, and then offer you cucumbers for the eyes with a chilled towel to cool your head and face. A nice lavender scent throughout the spa calms you into a nice relaxing trance. 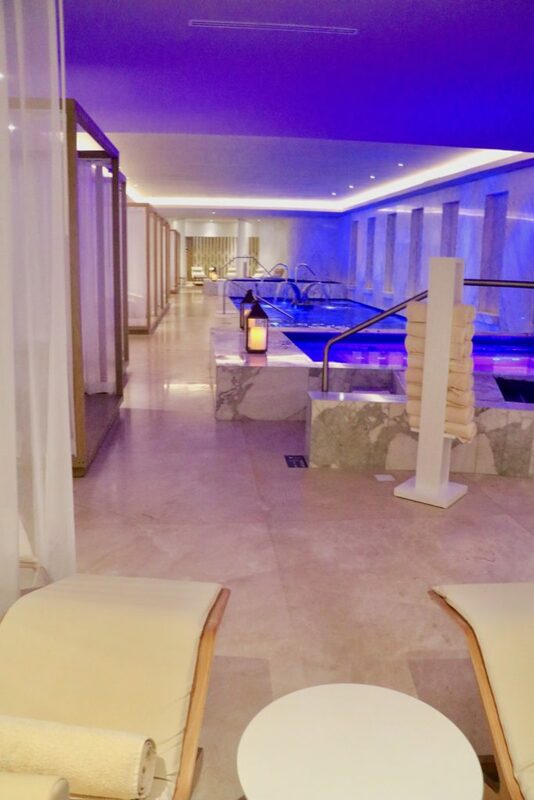 No thinking, no worrying, no running through to-do lists, all you are required to do at the spa is just be in the moment and let your body take a break from stress. 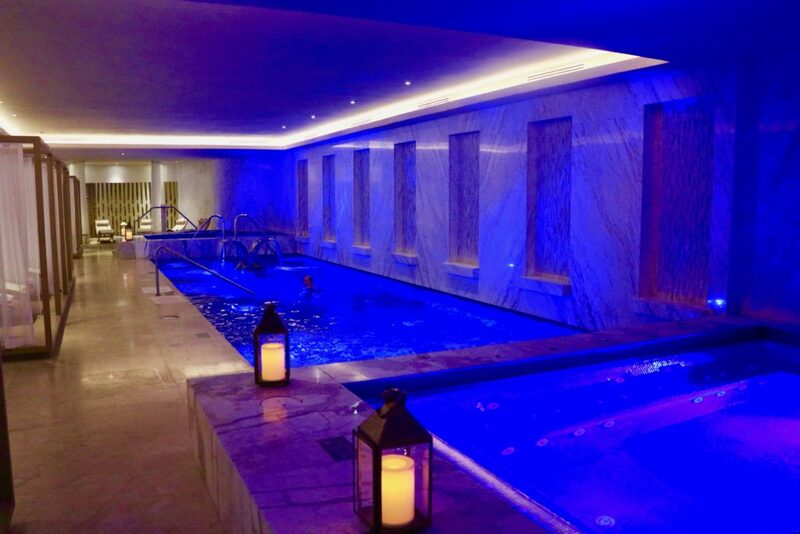 The hydrotherapy area is a holistic ‘health through water’ treatment, inspired by traditional Greco-Roman rituals meant to provide a relaxing and stimulating feeling all over the body. 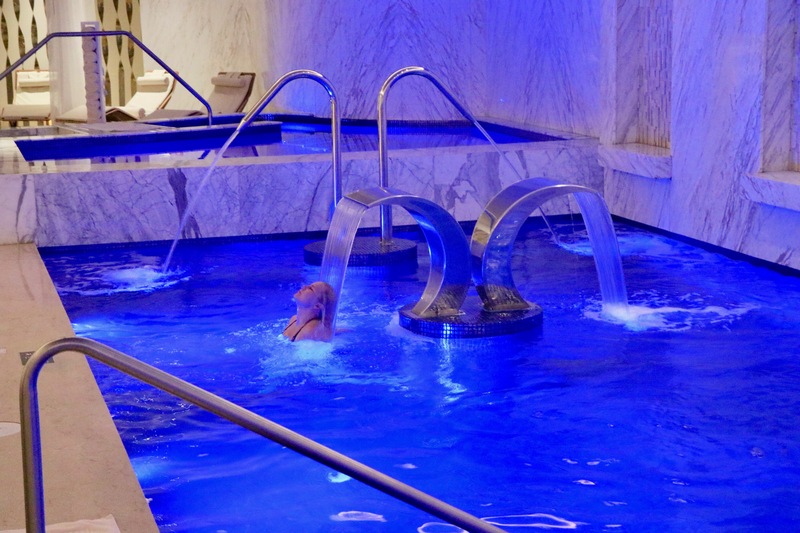 After relaxing on the heated stone bed and swing beds, I made my way to the white marble hydrotherapy area. 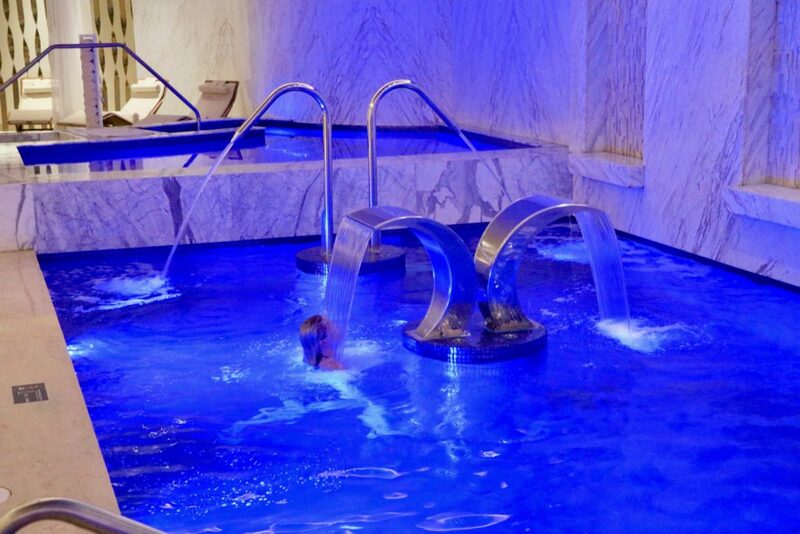 This part of the spa facility is co-ed, so I joined my husband who participated in the soaking experience. Our spa attendants frequently asked if we needed towels, a specific drink (tea, water, or a fruit drink) and were regularly checking in to ensure we were enjoying the waters. After the hydrotherapy treatments at these gorgeous pool facilities, I made my way back to the women’s only side of the spa and connected with Veronica, the assigned spa attendant. My body was feeling completely loose, relaxed and at ease for the first time in weeks. The water did wonders on my sore joints and stressful knots in the back of my shoulders. Veronica then guided me through the sauna, eucalyptus steam room, and the Aloe Vera ice room. At each station she prepared a fresh towel for me to sit on, covered my eyes with the cucumbers and chilled towel, and also set a timer for me depending on how long I wanted to rest in the specific station. This was such a relief, and allowed me to fully “let go” during my ten minutes in the steam, knowing that Veronica would come in and remind me when the time was up. Out of all the spas I have visited in the world, I have never had such a customized, personal and intimate spa experience with the individual attendant service. You have to experience it for yourself. 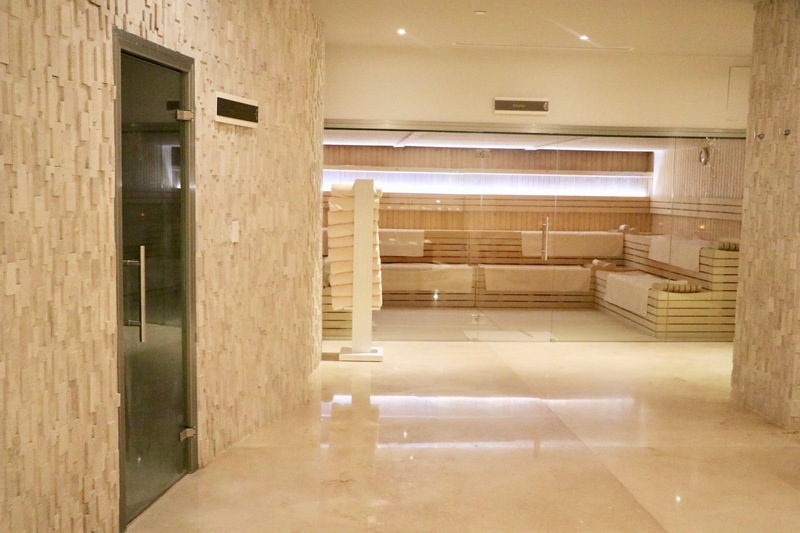 The words of the personal experience I am sharing, and the few photographs that I captured through the Ladyhattan lens, do not do this spa experience justice. Whether you are on a couples trip, romantic getaway or even a ladies-only weekend, this spa would be the perfect element of any relaxing Cabo vacation! 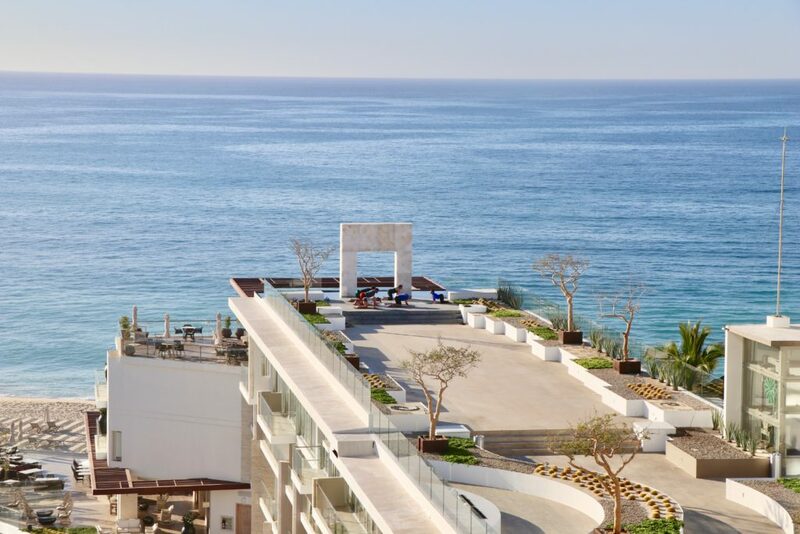 Feeling refreshed and rejuvenated from a healthy morning spa experience, I made my way right back to Cabo vacation-mode by heading to the pool to meet up with my family. Making it to the gorgeous beach-side pool cabana just in time for lunch, I ordered a few Baja fish tacos with a spicy margarita to enjoy the rest of the day under the sunshine. Because the spa was inclusive as a guest of the property, I repeated this spa routine each morning of the vacation. Allowing my mind and body to fully decompress in the spa facility each morning of the vacation was the highlight of my trip, and allowed me to fully enjoy the fun beach days and nights out while on vacation. If you are looking for the ultimate vacation experience where you can enjoy both fun in the sun and relaxing spa treatments, there is no better hotel than Le Blanc Spa Resort in Los Cabos. As always, thanks for enjoying this Ladyhattan recap and stay tuned for more insider glimpses on this fabulous resort option in Mexico! 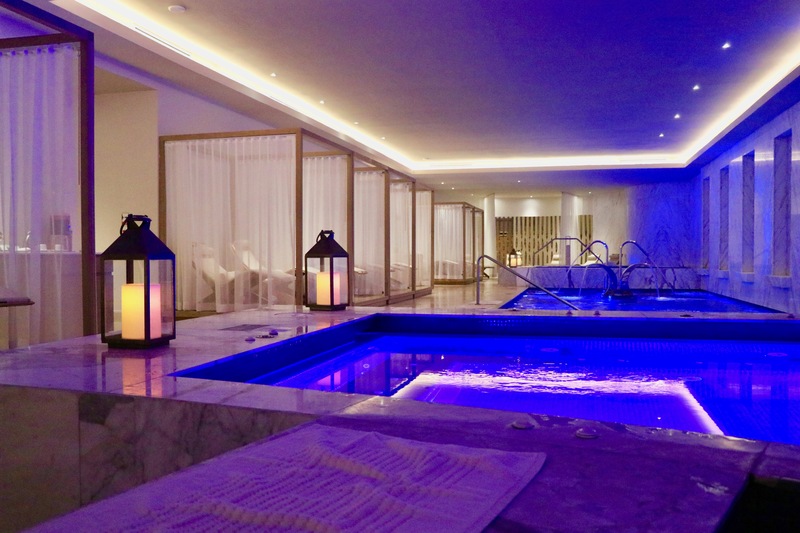 5 hour direct flight from NYC to Los Cabos, Mexico, or a connection through Dallas from NYC, this property features one of the best spas in all of Mexico. 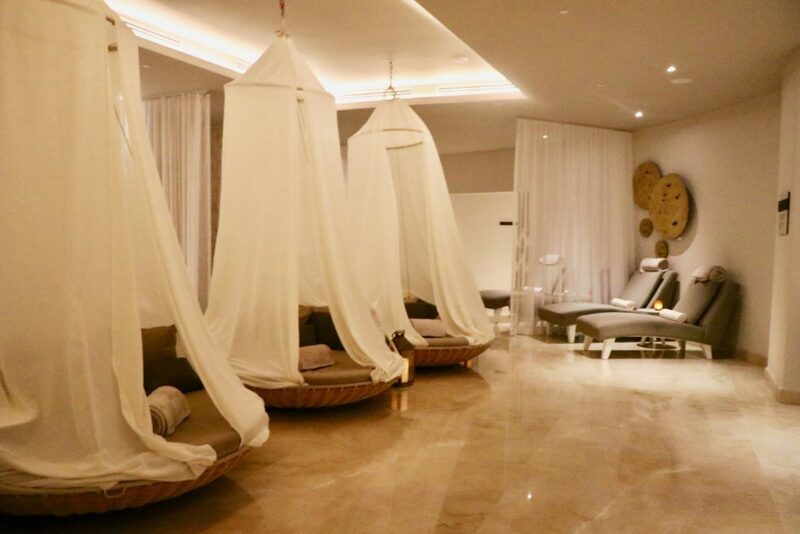 29,000 square foot award-winning spa facility opened in 2018 is available exclusively for guests at Le Blanc Spa Resort in Los Cabos, Mexico. The resort is all-inclusive, so your nightly rate includes all of your food, beverages, activities, and access to the spa facilities with pampered service. 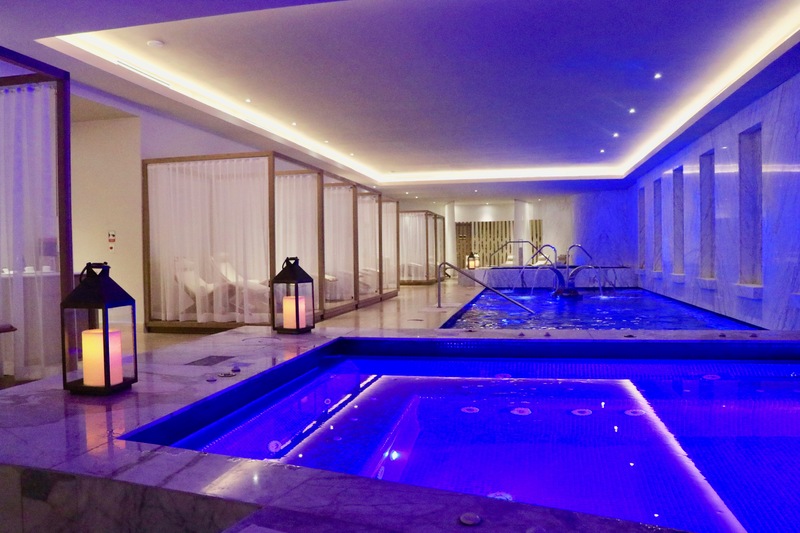 Complete with 25 Le Blanc treatment suites, 9 indoor couples’ suites, 15 single suites, 1 Le Blanc D’Or Suite. 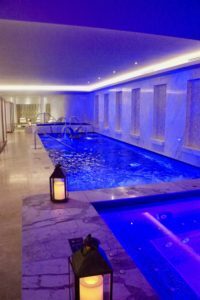 Complimentary access to the hydrotherapy treatments in the gorgeous marble pool facilities inspired by traditional Greco-Roman practices. Each guest is provided a personalized experience with an assigned Spa Attendant who times your treatments, provides towels and refreshments throughout your complimentary spa experience. Cold aromatherapy facial cloths with cucumbers for the eyes are provided at each spa station, along with tea, juice and healthy beverages. 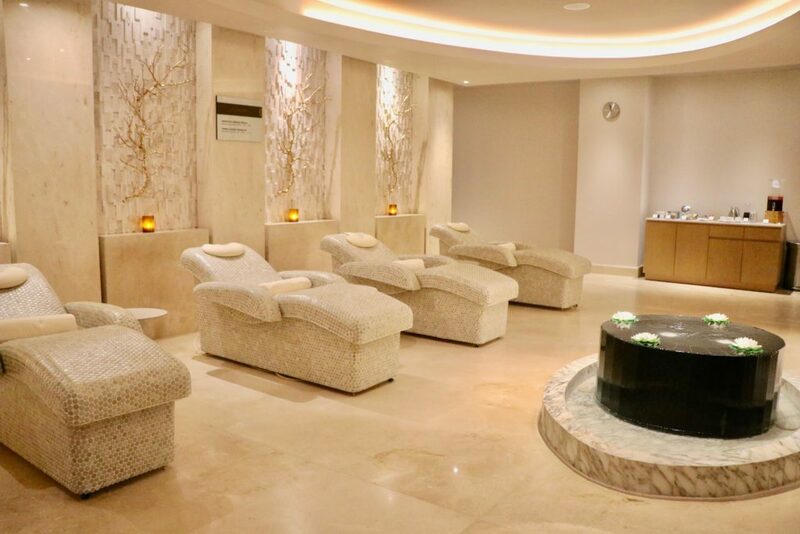 The women’s only area features a selection of complimentary facial masks, hair treatments and products that can be used as you wish. 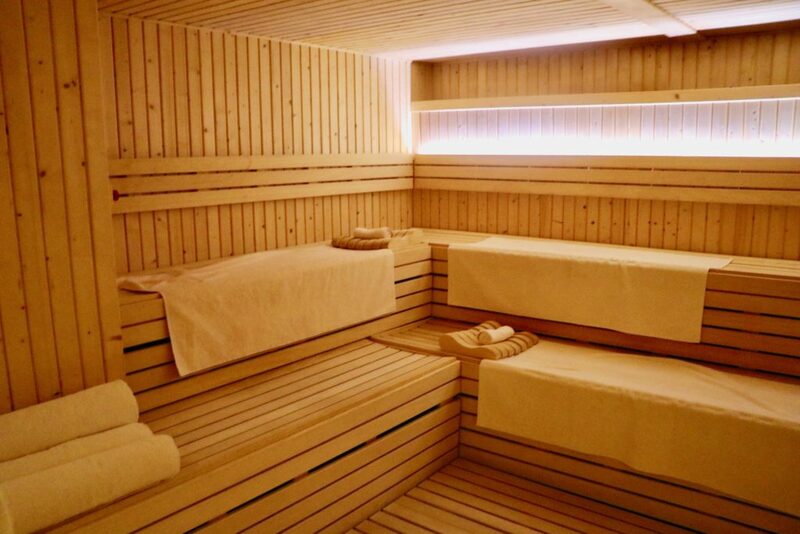 Sauna, steam room and an aloe vera ice room are available for a full body experience. Signature spa treatments can be purchased at an additional cost and are worth every penny. 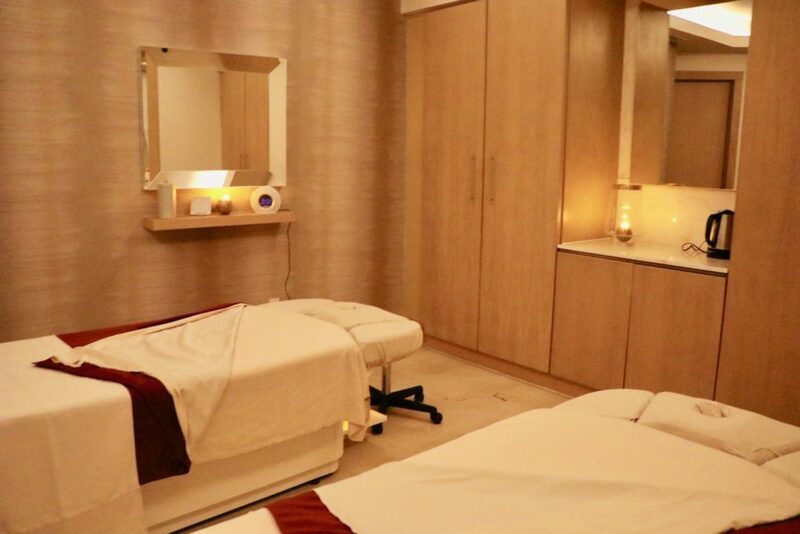 In these treatments, you will select custom oils and indulge in a relaxing experience like no other. I highly recommend the serenity massage, and if available, ask for Christina for strong pressure! There is also a fully equipped beauty salon with professional stylists offering services from waxing, makeup application, hair blowouts to manicures. For more on this amazing hotel or information on booking, click here!